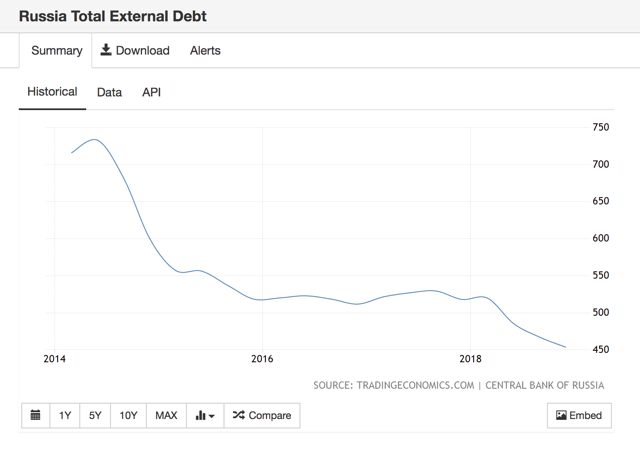 The result of the prudentially balanced management of the reserves and the economy was deleveraging out of debt, with a reduction in the external debt. Remember the incessant meme in the Western media about Russia eminently in danger of running out of sovereign wealth funds back at the start of the Western sanctions in late 2014? 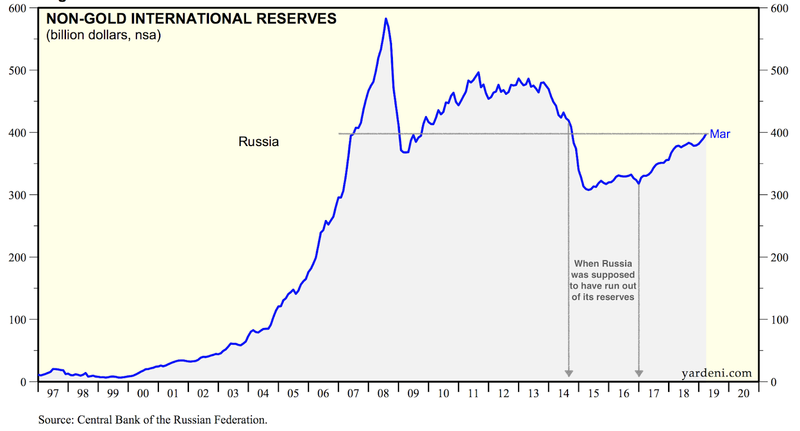 Currently, Russian foreign exchange reserves ex-gold are more than sufficient to cover the entirety of the country public and private sectors' external debts.